I decided to go for a pie pastry with almonds. 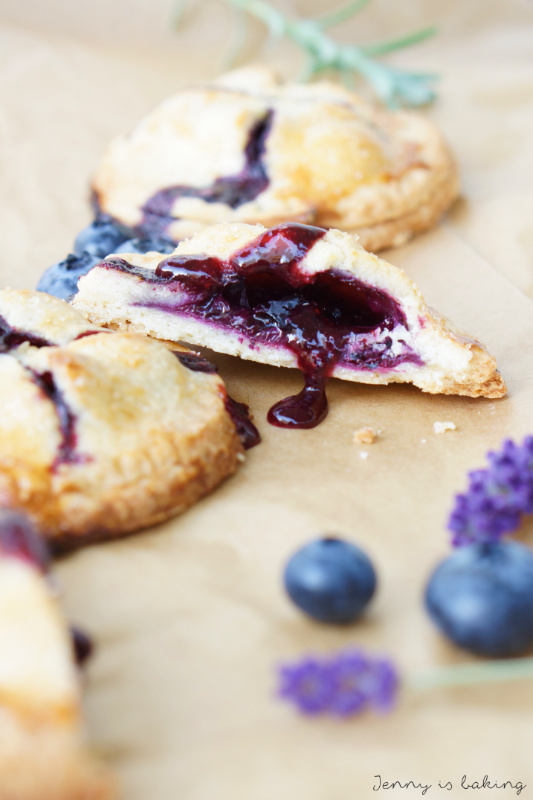 The almonds make these hand pies extra crunchy. I feel this is the perfect contrast to the sweet cherry jam. Of course you can also leave the almonds if you just want to go for the plain version, but I am begging you, you have to try this version at least once. See the stick I put into this hand pie? That’s another option you have with this recipe. To make them a little fancy and place them in a small vase. Perfect to take along. 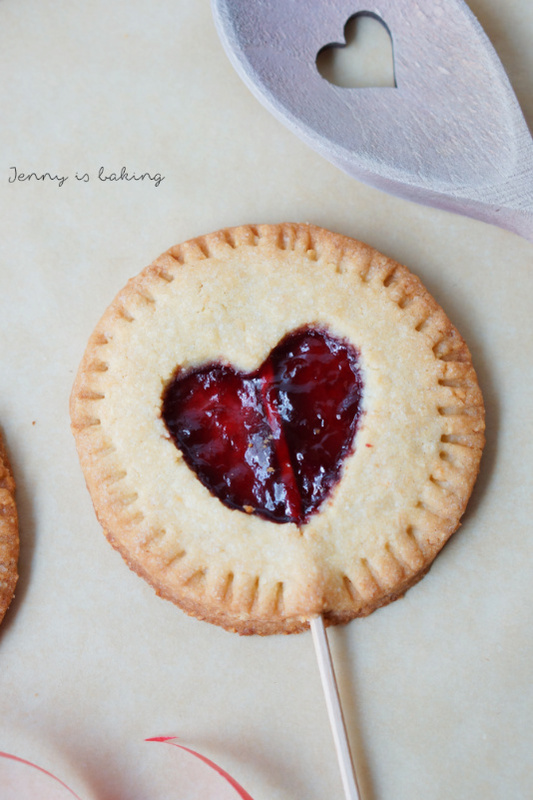 Pie pops or hand pies, you make them as you want them! 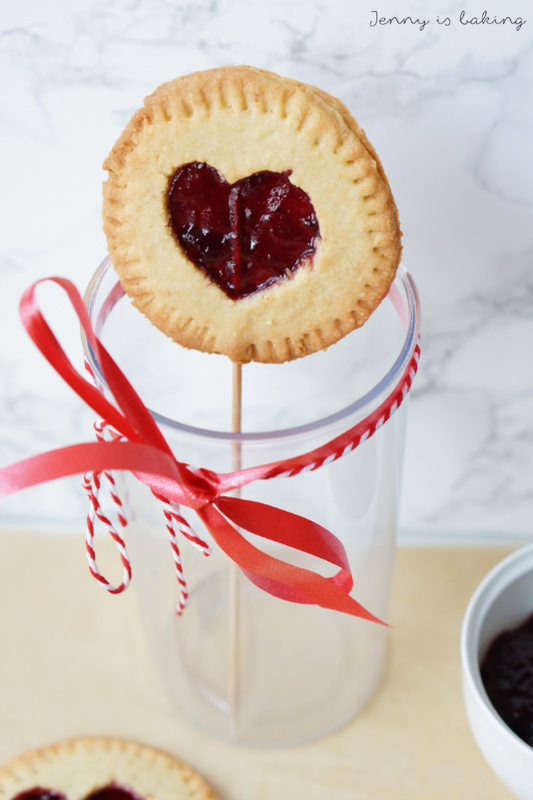 Oh, and you can replace the cherry jam with any other red jam, of course. For the pie pastry make crumbs at least the size of peas with all ingredients except for the egg and vanilla extract. This is best done with the kneading attachment of a mixer, if you do it with your hands, be sure to do it quickly. Add the egg and vanilla extract and knead with your hands until you can form into a ball. Chill for at least half an hour in the fridge with plastic wrap. Take out dough, divide into two parts, return one part to the fridge. Line two baking sheets with parchment paper and preheat oven to 190 degrees Celsius. Roll out dough and cut out circles of about 8cm in diameter, I use a glass for this. Cut into half of the circles a heart. 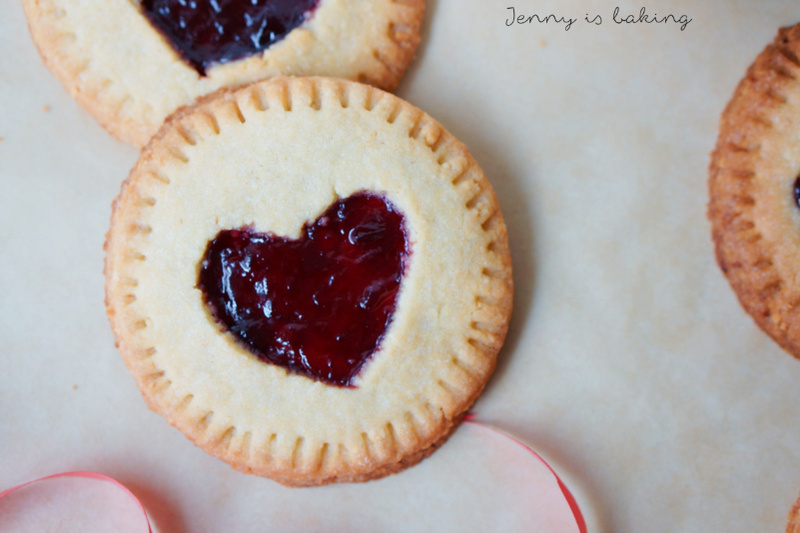 Fill the first half of circles with 1-2 teaspoons of cherry jam. Place on each a circle with the heart shape. Seal edges with a fork. If you wish to make cake pops, be sure to stick the stick deep into the hand pie. Also seal them extra careful. I usually bake the hand pies already with the stick. 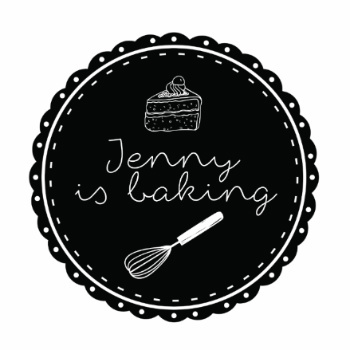 Bake for 18-20 minutes and repeat with the second batch. The pastry dough can be prepared three days in advance. Hand pies freeze beautifully. 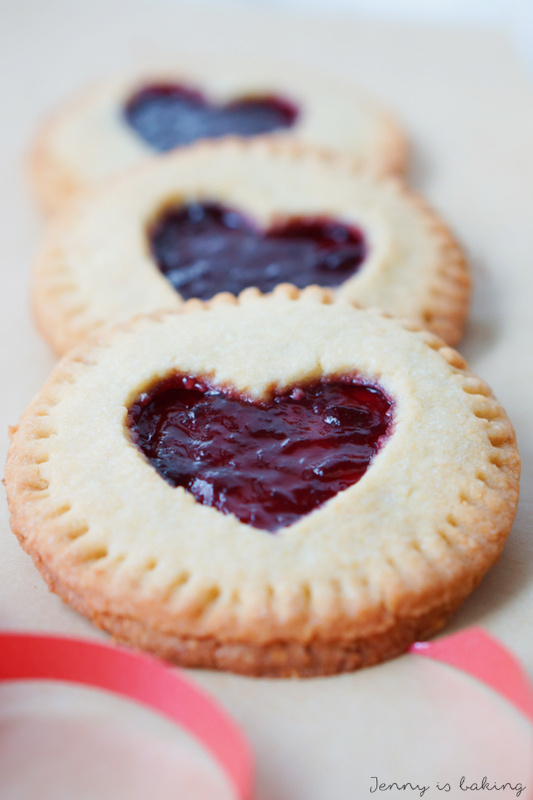 PS: These hand pies are a little more complicated, but I can also recommend them for Valentine’s Day. I am sure they would be awesome in a heart shape!